Take a private speed boat tour to absorb the beauty of the island’s dramatic, mountain ranges and feel the exhilarated thrill of cruising across the clear, open water. Climb overboard for snorkeling in the warm, shallow lagoon and marvel at the vibrant colors of the fish as they dart between the corals. The diverse terrain of Mauritius offers spectacular view points across the island, but perhaps none more beautiful than those seen at Alexandra Falls in the Black River Gorges National Park. Here, 700 meters above sea level, picturesque waterfalls cut through thick green forests and the valley frames a distant view to the south coast and the Indian Ocean beyond. The mountain paths provide plenty of space for kids to explore and freshly cut coconuts are readily available for refreshment. To add an extra thrill to your sightseeing excursion, why not hire a convertible Mini Cooper to travel in the upmost style? Go behind the scenes with a Four Seasons chef and take part in a family cooking class. Guests are able to compile a list of their favorite flavors from which our culinary team will create a cooking class menu tailored exclusively to each family’s tastebuds. With personalized aprons, chef’s hats and a recipe booklet to take away, guests will be able to re-create their family menu at home. Pay a visit to Casela Nature and Leisure Park for an adventure-filled day meeting the animals of the safari park during a quad biking excursion. 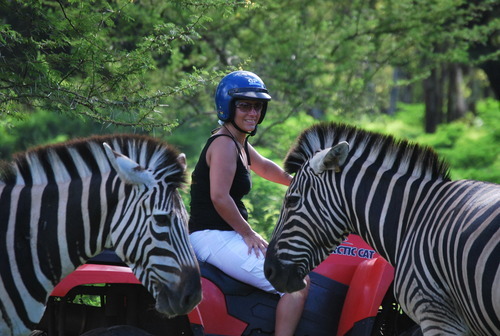 Both single and double quad bikes are available to allow younger ones (135cm and above) to enjoy the ride as a passenger, as visitors come up close to zebras, deer, wild boar and ostriches. The park is also home to over 150 species of birds, a petting zoo and offers the opportunity to see lions, cheetahs and tigers. Rally into action on the Resort’s two floodlit tennis courts in a family tournament. 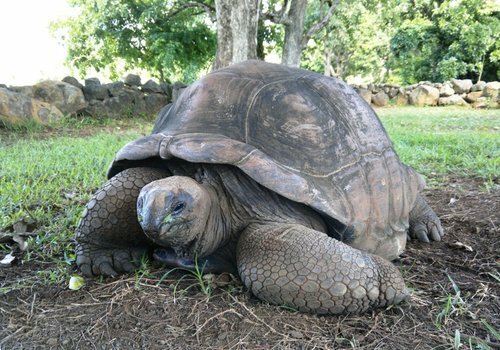 Tennis racquets and equipment are all available to borrow from the Fitness Center and don’t forget to make a visit to the courts’ neighbors – the Resort’s four Giant Aladabra Tortoises. Be sure to receive an extra warm welcome when taking along a banana to feed them! Featuring all pool villa accommodation, Four Seasons Resort Mauritius at Anahita offers a multitude of activities to keep younger guests entertained, with both a dedicated ‘Hobbit Village’ kids’ club and separate young adults’ club, Karokan, which even features its own DJ booth! Additionally, a full program of activities is available, including beach volleyball, glass bottom boat trips and tropical treasure hunts. 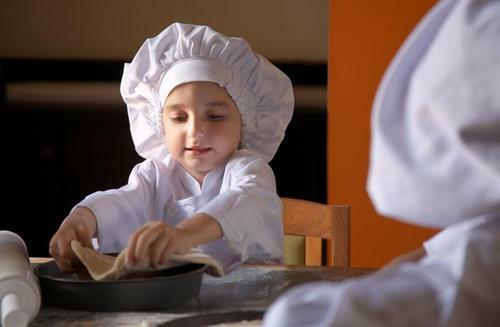 Children’s menus are available in all four restaurants and kids can prepare their own pizzas with the chefs at the open pizza oven in Acquapazza restaurant. The Resort also offers a babysitting service.